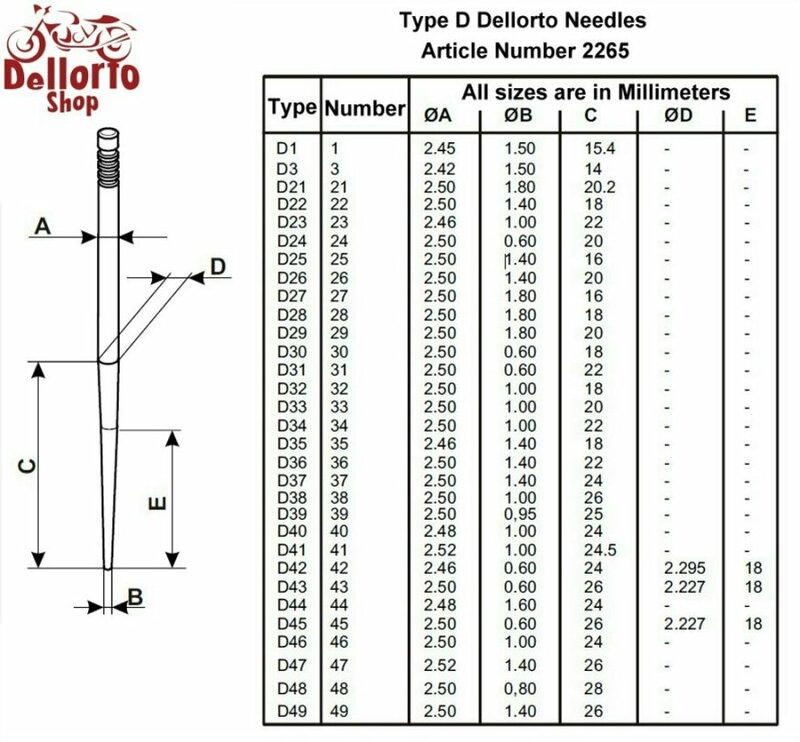 I have presumed that a D28 needle would be leaner than a D30 needle. Is it that straight forward? I only ask as the D30 needle that i have in the bike is very tapered, virtually to a point, and a D28 needle that i brought from SIP hardly tapers at all. Can someone advise or point me to some technical info that is written in plain English please? D28 is weaker(leaner) than D30.I use a D29 in my PHBL 25.